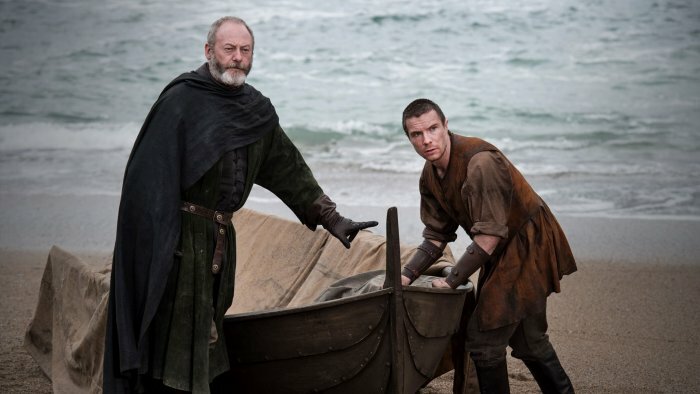 “Nothing fucks you harder than time,” Davos says to Gendry, characters who met all the way back in Season 3. A lot has happened since then. There’s plenty of plot to be explained to a character who has essentially been sidelined for 4 seasons, which the show is more than aware of (“Thought you might still be rowing”). But just before Davos can nurture the details, Gendry shoulders a bag already conveniently packed, saying without hesitation, “I’m ready, let’s go.” This scene from “Eastwatch” encapsulates the pacing of Season 7, a season marked by a breakneck pace and a readiness to dive into the grand scheme of things. Game of Thrones, for all intents and purposes, is a show that requires patience. Maesters send ravens from castle to castle; passing around information is equally as cumbersome as gathering it. The same goes for traveling. Getting from point A to B can often result in an entirely different journey altogether, or at least, not at all a straightforward one. Up until now, the showrunners have been committed to ten episodes per season, utilizing hour long episodes (sometimes longer) to tell this story across a cavalcade of characters amidst dizzying plots and subplots. Ten episodes, in that regard, seems almost too bold, too ambitious to accomplish, with storylines often getting sidelined, others beginning again as they intersect, cross-reference, or come to fruition. Now there’s seven episodes, five so far that have been jam-packed with revelations and confrontations that would’ve otherwise been spread out. Dany and Jon meeting could’ve easily been teased over the course of a season, the same way the Greyjoy ambush at the tail end of “Stormborn” could’ve fulfilled the show’s big battle requirements of the penultimate episode 9, or the dragon battle in “The Spoils of War,” for that matter. The show’s reliance on structure has led to an over-familiarity in expectation (that’s not to say the show is predictable, because frankly, it isn’t). Even the casual fan can pinpoint when the show is setting up for something and when these big moments will take place. But with Season 7, things are progressing much faster than we are used to. It took Jaime and Brienne the entirety of Season 3 to get to King’s Landing, yet Davos and Tyrion manage to sneak into the city’s bowels within the space of two scenes. Jorah, too, manages to reunite with Dany and join the fight in the North (Jon, Davos, Gendry, and Jorah practically teleport to Eastwatch). And sending ravens, a practice that often consumes a great deal of time, has become a flexible commodity. On any normal season, these characters would not come to meet each other at such frequency nor arrive from point A to B so quickly. But this is not a normal season. As we dive deeper into the story and the larger, looming mythology, there’s simply no time for excess, which the series has had plenty of. With so much narrative momentum built over the course of six seasons, this was all but inevitable. Time, now, is of the essence. Everything is cut to the chase. This unfortunately means sacrificing intimate character moments. 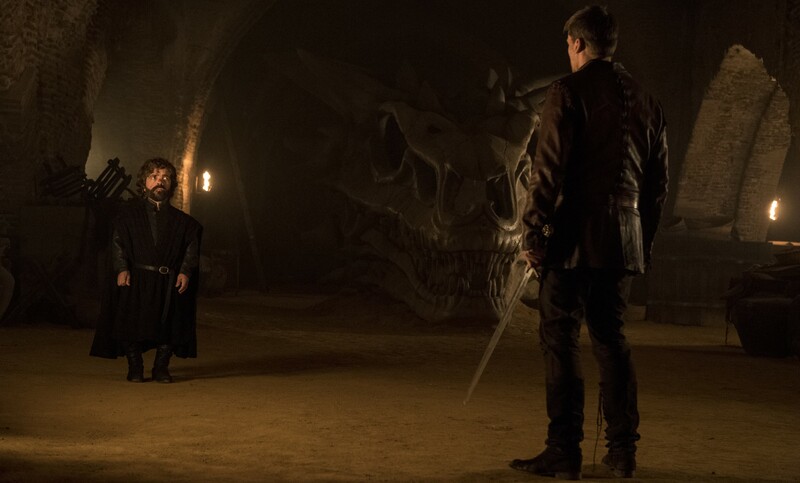 Tyrion and Jaime don’t get a chance to ponder their unexpected meeting and what it might mean for them in the future. Jon, too, hasn’t had a moment to reflect on his journey South, nor have we, the audience, had a chance to savor the return of a Stark and Baratheon partnership. It’s all about the bigger picture. We came into this season knowing the chessboard and the pieces in play. We know who’s against who and what these characters are capable of when they unleash their fiery wrath. We know exactly the kind of threat the White Walkers pose (finally, after patiently waiting for 5 seasons) and it’s that kind of anticipation that Game of Thrones has rightfully earned. What is happening now is essentially a reward for our investment thus far, even in the minor characters of the show. 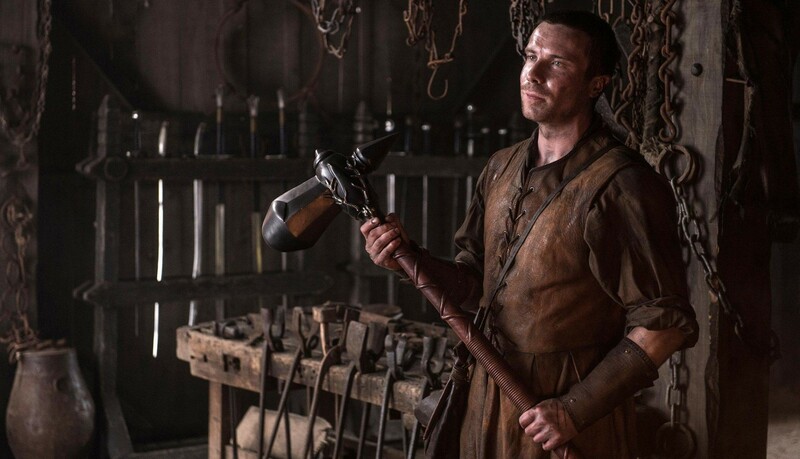 Many of us were unsure if we’d ever see our favorite armorer again (admittedly, Gendry being sent off on a boat isn’t such a bad sendoff), yet having him back in the fold presents an exciting narrative potential, which the writers dared not to waste. “Our fathers knew each other, why shouldn’t we?” That’s precisely all we’d need to know about their budding and predetermined partnership (this in no way secures Gendry’s fate. GoT is notorious for disposing previously side-lined characters i.e. Osha and Rickon). Perhaps if there was more legroom, Jon and Davos would’ve recruited the Brotherhood in an entirely separate journey (Beric and Thoros have essentially been rerouted to The Wall). While this could easily be seen as fan-servicing, it’s also in-keeping with the show’s symmetrical storytelling. Jorah Mormont is back in the North (whether we’ll see him meet his bold niece remains to be seen), and the Hound’s redemption streak is reaching its apex. As these characters reunite and band together, we get a sense of how they’ve grown in comparison to the other. Everyone in that cell in Eastwatch knows the other by some lateral way and there’s no need to establish who they are because we’ve spent the past 6 seasons getting to know them. What matters now is that they’re aligned by their shared interests and forward trajectory and instead of mulling it over to death, they all follow Gendry’s steadfastness. These distant, sprawling narratives are converging on one another, all coming to a head. It may have taken a long time for the chess pieces to set up and make their way across the board, but they’re finally in position for the final phase of the game. 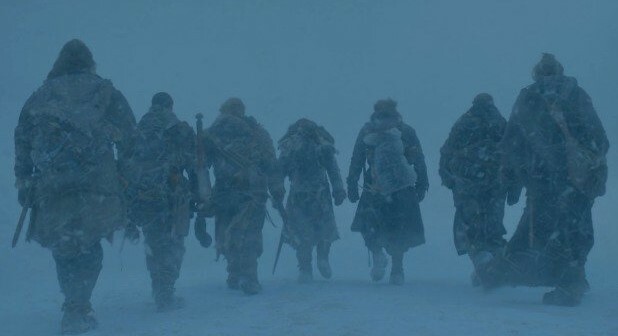 Our unlikely band of seven embark beyond the wall, something we’ve seen countless times before, each one more foreboding than the last. This time, there’s a distinct callback to the opening shot of the very first episode in the series. The portcullis coming up, a ranging party heading north. There’s a finality to this closing shot in “Eastwatch,” one that perfectly captures what we’ve known and have been dreading all along. The end is near.